MK Dons: Martin, Hodson, Lewington ©, McFadzean, Kay, Reeves, C Baker, Powell Carruthers, Cole, L Baker. Sostituzioni: Burns, Green, Bowditch, Grigg, Spence, Randall, Walsh. 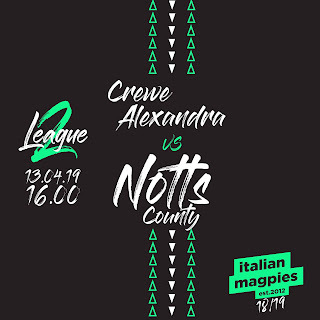 Notts County: Carroll, Adams, Smith, Mullins ©, Hollis, G Thompson, Newton, Jones, McKenzie, C Thompson, McCourt. Sostituzioni: Pilkington, Hayhurst, Spencer, Lita, Whitehouse, Bajner, Edwards.